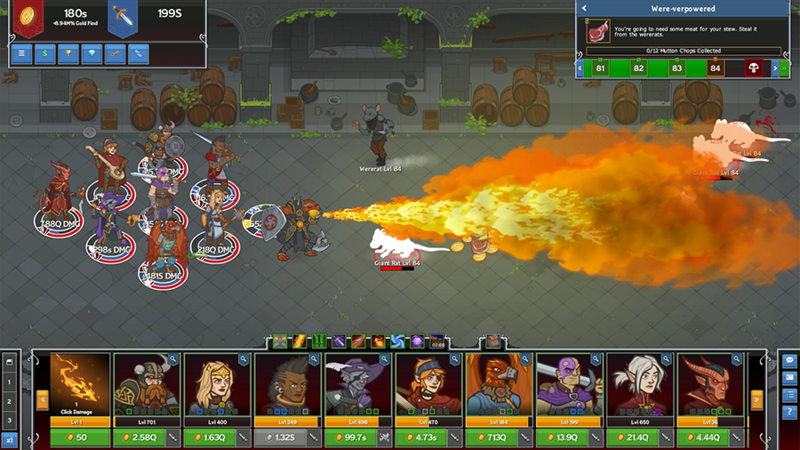 Tags: idle, champions, early, access, event, dragondown, binwin bronzebottom, toonhounds, scott kurtz, table titans. 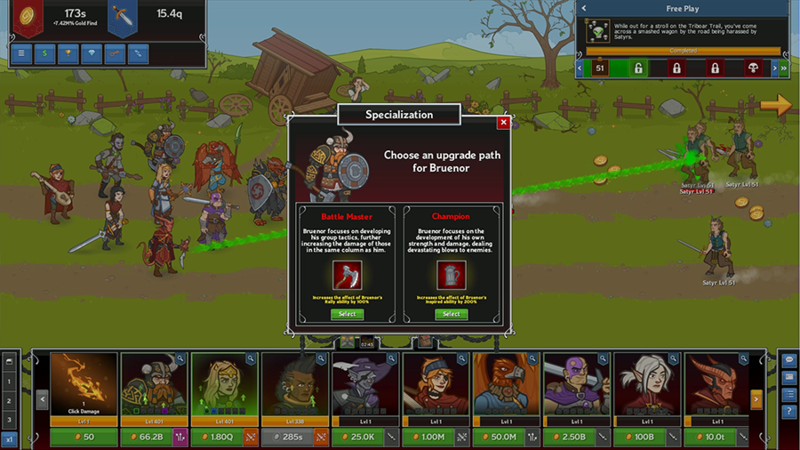 Dragondown is the thirteenth limited-time event for Idle Champions of the Forgotten Realms. The event starts today and runs until Monday, June 25th at 12:00pm PDT, and introduces Binwin Bronzebottom, Dwarven Fighter/Barbarian! Binwin Bronzebottom was a member of a rather infamous adventuring group/company, until he left to spend more time with his family. A grumpy and headstrong dwarf with a penchant for springing traps rather than disarming them, if he's not the first into battle then he's disappointed. There's nary a door, tankard, or acid pit that hasn't felt the wrath of Binwin Bronzebottom at one time or another. These days, when he's not adventuring with the likes of Drizzt and Minsc, Binwin leads a small group of incompetent and eminently replaceable minions through perilous adventures. 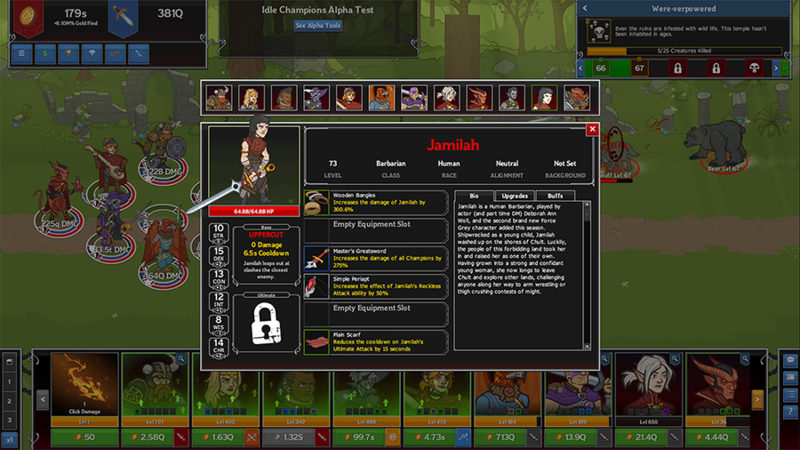 When you want to add Binwin to your party, you can swap him with Nayeli or Gromma. Awaken the Beasts — Beasts move much more quickly and deal far more damage. Binwin's Minions — Two of Binwin's Minions take up slots in the formation, decreasing the damage of adjacent Champions by 90% with the exception of Binwin, whom they buff by 400%. 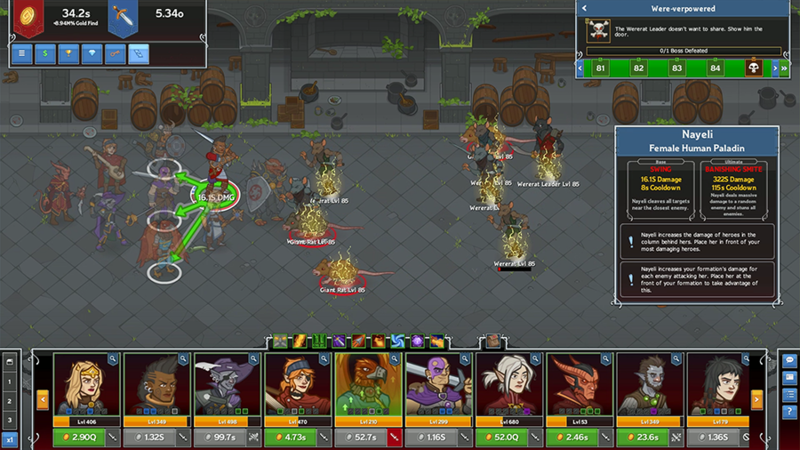 Binwin's Minions move to different slots in the formation every 20 areas. Untrusting — The bronze dragon doesn't trust you to return her egg, so she continuously sends her Wyrmlings to keep an eye on you. Four different varieties of Wyrmling spawn at random. Added the Dragondown event, our thirteenth limited-time campaign event! The event runs until Monday, June 25th at 12:00pm PDT. 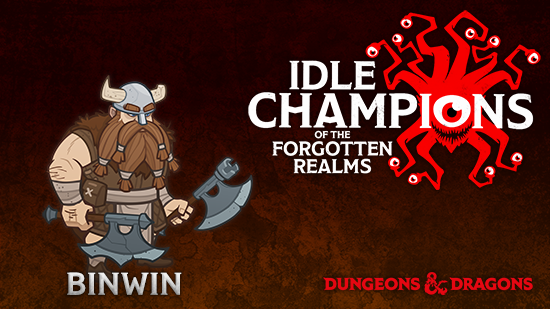 Added a new Champion: Binwin Bronzebottom, Dwarven Fighter/Barbarian. 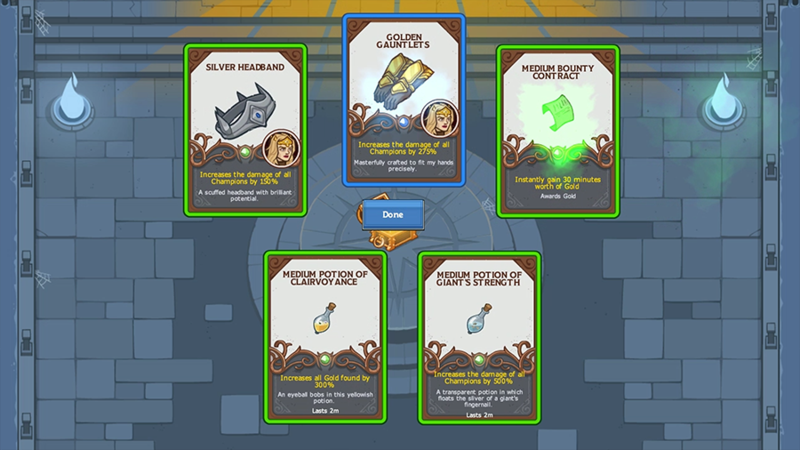 Added a new event Divine Favor: Waukeen's Favor.